All COTTAGE CREEK homes currently listed for sale in Midway as of 04/19/2019 are shown below. You can change the search criteria at any time by pressing the 'Change Search' button below. 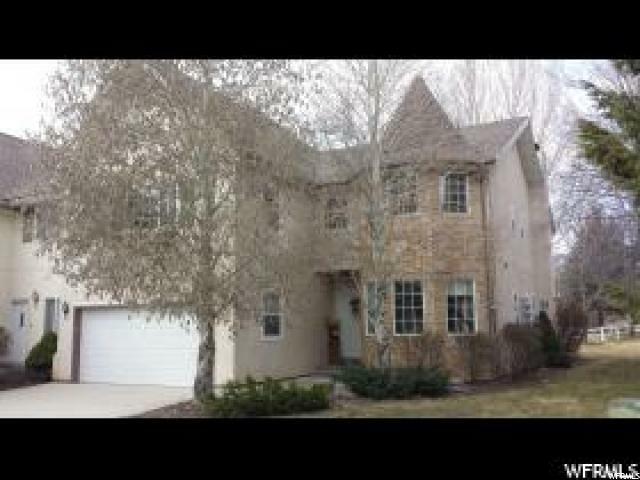 "The serenity of majestic birch and evergreen trees surround this lovely four bedroom, three bath townhome near the heart of the adorable mountain town of Midway, Utah! Located on the 13th green of the Homestead Golf Course, this PUD provides a stress free lifestyle, so you can enjoy the many outdoor recreation opportunities, including hotsprings, boating, fly fishing, hiking, biking, and the nearby world class ski resorts of Sundance, Deer Valley, and Park City. Meticulously maintained; elegantly appointed, this home is situated as an end unit, so you experience more of the grandeur of amazing views! #Sundance2019"